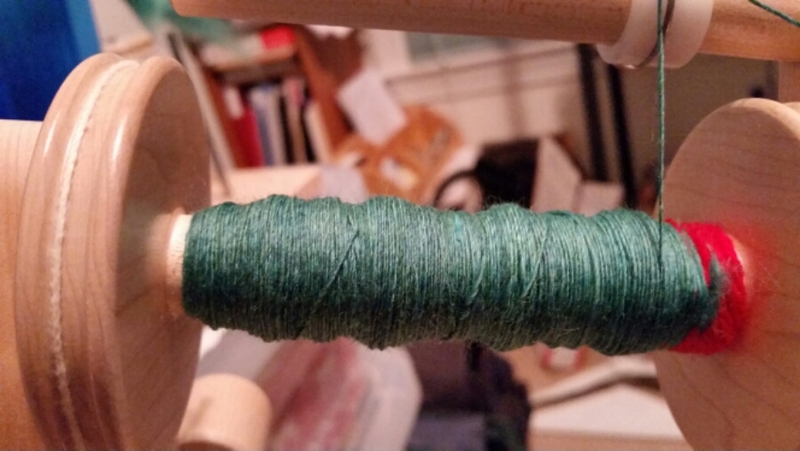 When I took my spinning class at SAFF back in October, I fell in love. I also realized that this would take PRACTICE. Lots of practice. In order for me to make the potential real, I had to give myself a framework; a space to play and allow my skill to develop. I knew if I did not make a solid commitment to myself, I would regret it. So I picked “100 days” more or less out of the air. It was a good move. It gave me the incentive to keep pushing past frustration and allowed me to keep a light attitude and keep learning. So what now? I will keep spinning every day, or almost, because now it’s part of my life. I enjoy, more than ever, the meditative quality that moves me into a better space. I’ll keep blogging about it, yes, because I like blogging, for one. Also, I have learned from other spinning bloggers, and if someone else can learn something from me, or get inspired to hang in there, then GREAT. My friend Mark asked me to post the “Day 1” photo along with today’s “Day 100” photo, and I’m really happy to do that. I still get a big WOW when I look back at how far I’ve come. 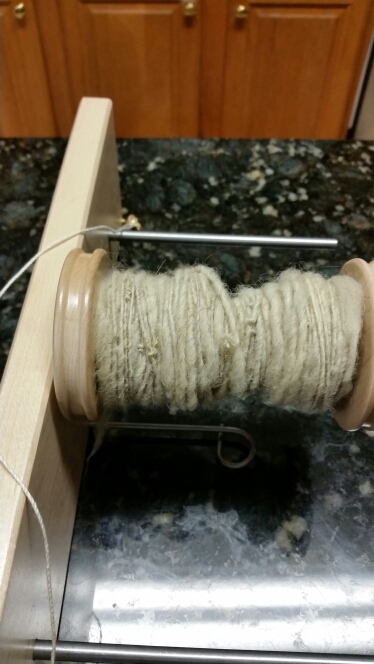 Note that the two wooden bobbins are the same size. Wow! Even I can tell that your practice looks like it turned into perfect!